View some of the recent placements we have secured and events we have executed for our clients. NORTH MIAMI BEACH, Fla. (May 15, 2018)—Macken Companies, a vertically integrated real estate development, construction and brokerage firm, today announced Palmetto Design Center, its seven-acre, 62,500-square-foot shopping plaza at 3791 NW 167 St. in Miami Gardens, has been sold to Rise Star, LLC for $11.85 million. The plaza, completed in 2016, was developed in a joint venture between Macken Companies and Zvi Shiff of DZD Holdings. Monte I. Greenberg of Macken Realty represented the Seller, Palmetto Design Center LLC, in this transaction. Closing took place May 15, 2018. Palmetto Design Center was constructed by VCM Builders, a subsidiary of Macken Companies. The shopping plaza is anchored by a 41,800 SF Walmart Neighborhood Market and features an additional 11,100 SF of inline space, whose tenants include T-Mobile, Edible Arrangements, OPI Nails and Laundromart. In addition, a three-quarter-acre outparcel has been leased, and upon completion of the space, will contain a full-service Spin Car Wash. The Walmart Neighborhood Market has 17 years remaining on its lease with 16 five-year options, totaling 80 years. All the other tenants have four years remaining on their respective leases with options ranging from 5-25 years. Palmetto Design Center directly fronts the Palmetto Expressway at Douglas Road, offering tenants tremendous visibility from the 180,000 vehicles that drive by each day. For more information on Macken Companies and its projects, visitwww.mackencompanies.com. Macken Companies is a vertically integrated firm with real estate investment, development, construction, financing and brokerage entities. 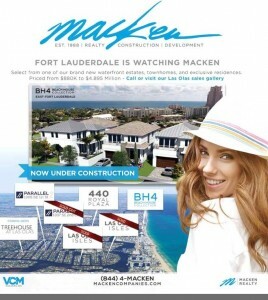 Over the course of 30 years, Macken Companies has been instrumental in the repositioning and revitalization of neighborhoods throughout South Florida. The name Macken has become synonymous with visionary planning and development, superior construction, and record-breaking sales and marketing. As a fully integrated firm, Macken Companies’ affiliate entities—VCM Builders, Macken Realty, SFCS, Sefran, G&A Strategic and MTV Investments—work in tandem to offer clients complete residential and commercial real estate solutions. Regardless of the size and scope of the endeavor, Macken Companies approaches every opportunity with equal passion, diligence and accountability. As a result, Macken Companies is highly regarded throughout the state for its reputation and integrity. For more information, visit www.mackencompanies.com. FORT LAUDERDALE, Fla. (February 11, 2016)—110 Tower has enjoyed a stellar quarter in terms of leasing activity. The award-winning, LEED® Gold certified, Class A office building in downtown Fort Lauderdale has announced that more than 88,000 square feet of office space has been renewed or leased recently bringing the building to approximately 82% leased. United Capital Advisors, a wealth management company, signed a new long-term lease, Sabadell Bank, which has a retail location on the ground floor, renewed its lease; the law firms of Zebersky Payne, Shook Hardy & Bacon, Scott Grady P.A. 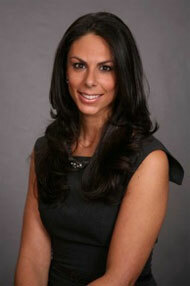 and Luks and Santaniello also renewed their leases. In addition, high-profile tenants Allstate Insurance renewed and expanded their lease, and Broward County renewed a full floor and also expanded by leasing another full floor. Tenants across industry spectrums consistently look to 110 Tower as their office location of choice primarily due to the buildings recent award winning multi-million dollar renovation and the building’s unbeatable views and amenities. 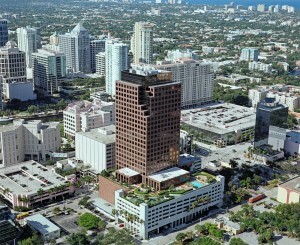 The building has also established a reputation for pioneering efforts in energy efficiency within Fort Lauderdale’s downtown district. In fact, it was the first option for tenants seeking a LEED Gold certified building within a multi-tenant high-rise office tower in downtown Fort Lauderdale. With the recent new leasing, renewals and expansions with several tenants, it reconfirms that 110 Tower remains the location of choice for tenant’s seeking best in class service, prestige and amenities. 110 Tower’s prime location in the heart of downtown Fort Lauderdale directly across from the new Broward County Courthouse along with the revitalization of SE 6th Street is also a draw, as it offers access to transportation, including the proposed Wave streetcar set to stop in front. Tenants also have access to many onsite amenities including 110 Fitness, Subway, That’s A Wrap, Dunkin’ Donuts, a car wash, a wrap-around outdoor terrace, ballroom and multiple conference centers. “The building’s tenant demographic now mirrors the makeup of our thriving downtown,” stated Laurel Oswald, director of Cushman & Wakefield. “Attorneys, technology firms and financial and private wealth management firms are all finding that 110 Tower represents the ideal combination of 21st century amenities and sustainability with a central location.” This trend was further evidenced by SATO Global Solutions, a subsidiary of SATO worldwide, the premier global technology company based in Tokyo, which now calls 110 Tower its headquarters for servicing the US, Latin America and the Caribbean. SATO moved in to 14,000 square feet on the seventh floor, featuring a modern, collaborative workspace, which reflects its technology focus. The building’s high ceilings and mezzanine design offer a loft-like environment along with access to a seventh floor tropical sky terrace that may help motivate creative employees. 110 Tower received the U.S. Green Building Council of South Florida’s coveted GalaVerde Award as “Florida’s Best in LEED for Existing Buildings,” BOMA Fort Lauderdale/Palm Beaches’ TOBY Award for “Renovated Building of the Year,” BOMA’s Southern Regional TOBY Award for “Renovated Building of the Year,” and the PRISM Award for “Renovated” Building. Cushman & Wakefield leases 110 Tower and Transwestern manages the building, whose ownership is represented by GenCap Partners Inc. To learn more, visit 110Tower.com. Cushman & Wakefield is a leading global real estate services firm that helps clients transform the way people work, shop, and live. The firm’s 43,000 employees in more than 60 countries provide deep local and global insights that create significant value for occupiers and investors around the world. Cushman & Wakefield is among the largest commercial real estate services firms with revenue of $5 billion across core services of agency leasing, asset services, capital markets, facility services (C&W Services), global occupier services, investment & asset management (DTZ Investors), project & development services, tenant representation, and valuation & advisory. 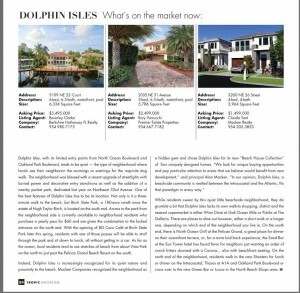 To learn more, visit www.cushmanwakefield.com or follow @CushWake on Twitter. Transwestern is a privately held real estate firm specializing in agency leasing, property and facilities management, tenant advisory, capital markets, research and sustainability. The fully integrated global enterprise leverages competencies in office, industrial, retail, multifamily and healthcare properties to add value for investors, owners and occupiers of real estate. As a member of the Transwestern family of companies, the firm capitalizes on market insights and operational expertise of independent affiliates specializing in development, real estate investment management and research. Transwestern has 34 U.S. offices and assists clients through more than 181 offices in 40 countries as part of a strategic alliance with Paris-based BNP Paribas Real Estate. For more information, please visit transwestern.com and follow us on Twitter: @Transwestern. GenCap Partners, Inc. is a real estate investment, advisory firm based in Dallas, Texas. The firm provides specialized real estate advisory, asset management and development services to domestic and international institutions in core markets nationwide. GenCap focuses on creating value and superior returns for its clients through investments in office, multifamily and industrial products. The GenCap Group brings substantial experience in sourcing, underwriting, structuring and managing real estate investment and development transactions. GenCap’s strategic approach to real estate balances opportunistic, core and value added approaches to the market to meet the unique risk profiles of its diverse clientele. GenCap currently manages over $400 million on behalf of its European private and institutional clientele. MIAMI, Fla. (July 16, 2015)— The New World School of the Arts Alumni Foundation has awarded the organization’s first Inspiration Grant to alumnus Christopher Rudd of New York City. 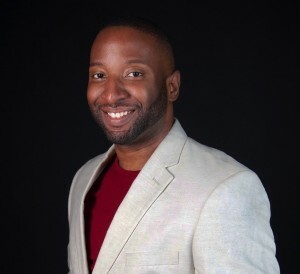 Mr. Rudd is a 1998 graduate of the High School Dance Division of New World School of the Arts in Miami. In addition to his studies at New World, he also received training under scholarship by The Thomas Armour Youth Ballet in Miami which led to training at The Dance Theater of Harlem. Having performed in numerous principal and soloist roles in companies from North Carolina to New York and Montreal, Mr. Rudd has started the dance company, RudduR Dance, and is focusing a portion of his efforts to the creation of his own original piece entitled Witness. This contemporary ballet has been inspired by the murders of Trayvon Martin, Michael Brown, Eric Garner & Freddie Gray and subsequent social unrest stemming from the failure to convict their killers. This forty minute work from the point of view of the bystanders will depict a community’s frustration and outrage. Witness will be presented in New York City with the hopes of finding more venues to exhibit this work. The New World School of the Art Alumni Foundation, a non-profit corporation founded in 2012, is planning to announce its second Inspiration Grant in the coming weeks. The Grant is the centerpiece of the Foundation’s mission to provide support to alumni creative projects and artistic endeavors while also connecting New World School of the Arts alumni for collaboration across the years and around the globe. Founded in 2012, this 501(c)(3) non-profit corporation exists to provide support to the thousands of graduates from Miami’s New World School of the Arts High School and College. NWSA is a joint venture between Miami-Dade County Public Schools, Miami Dade College and University of Florida. This nearly 30 year old magnet high school and college conservatory offers professional level training in Dance, Music, Theater and the Visual Arts. 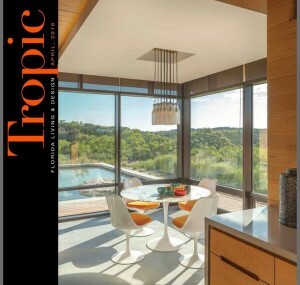 On June 23rd, approximately 60 of South Florida’s elite real estate brokers and well-heeled guests gathered together at Bellini Williams Island for an exclusive reveal of Architect and Interior Designer Denis Jacobs’ two model residences. 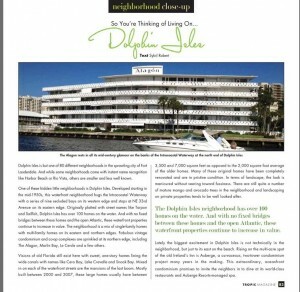 The event was hosted in partnership by Bellini Williams Island, BoConcept and Cultured Magazine. Read the full story and see the pics! 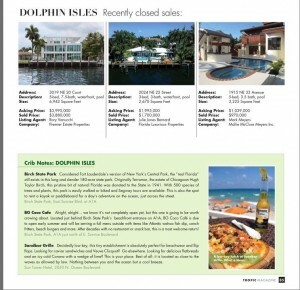 South Florida Business & Wealth Magazine features Alan Macken of Macken Companies and his upcoming projects as he discusses the booming Fort Lauderdale real estate market.